To start with, not many people have called EMV "awesome". 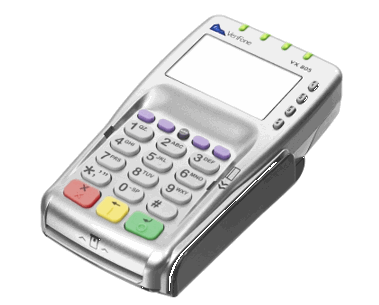 It has become quite clear the reason to switch to EMV was not for the benefit of the consumer, or the merchant, but was for the benefit of the Credit Card Processing company. By including their contractual clause to blanket rejecting merchants claims who have a charge back, even when clearly the customer was at fault. They do this always when no chip reader is used. We can see that the credit card companies were tired of paying out chargebacks and this was their resolution. The legitimate claims of a merchant were irrelevant to the Credit Card Companies bottom line. Once you have accepted that this is primarily for the benefit of the credit card companies, you are better of finding out the benefits to you and moving forward. Fortunately we are a lot further along. Now you can comfortably process cards, most issues have dissipated from processor to processor. And most features that were options on the old MSR's are now things you can do. For example First Data recently released a much needed update, "the follow on tips with out a chip card present". And each processor is offering more support for more devices. So is it Nobler to get an EMV reader? No, but Probably Smarter. Initially we were saying don't switch up, if you are running small tickets. But the more we hear from customers the more we hear about charge backs and issues with resolving them, even small charge backs can be annoying. And as things progress more and more people will realize they can do charge backs on locations without EMV and simply not have to pay for the transaction. So now that EMV has been proving it's success, it really has become an awesome solution. It's definitely much more secure in preventing someone trying to defraud your store. To find the solution for you, please give us a call and check out our integrations. Do you have the need to instruct your staff a bit on the Fly? You may assign items to print out with instructions on print out. This is great for newer locations and locations with a bit of turn over. This is also helpful for new items, not yet printed out with instructions or just temporary items for the weekend on special. You may be doing a test market with a certain smoothie or a certain burger, and you just can program this in the menu, and on the instruction list. The instruction list will work all day for your staff without the need to have a meeting with them. How tp get the instructions to your staff? You may watch this video below. Summer is here! This seasonal change provides you with an excellent opportunity to boost your sales and draw in more business. Unfortunately, many bakers seem to lack ideas on how exactly to do this. So let’s start with the most foundational method and build from there. It's a no brainer to provide holiday fruitcake for Christmas, pumpkin pie for Halloween and heart-shaped-anything for Valentine's Day. Even though summer doesn't have any of the major holidays, your bakery should still be providing seasonally appropriate options. These limited-time options invoke an urgent desire within your customer base. Remember how all news channels buzz when Starbucks releases their Pumpkin Spice Latte or seasonal red cups every year? Because these options are limited, they are considered special and they should be promoted more than the standard desserts you provide. Your regulars will jump with the excitement to try your delicious new delectables! When summer comes around everyone takes advantage of the warm, sunny weather and goes outdoors. This is the time when people enjoy doing activities such as going to the park, biking, running and swimming. So to reach out to your potential customer base, you’ll need to get out and join them! How? Well there are a couple of ways to do this. Firstly: Farmers Markets. Farmers Markets are a cheap and low cost way of getting outdoors to the crowds of people. They can be as little as $40 for a booth place or $70 for a booth seasonal pass. Of course, you’ll need to verify with your local markets. With it only taking a few people to staff the booth, labor will be low and local residents will swoon over the locally baked, summer-themed goodies. But more importantly, you are getting your name out there and reaching out to consumers you wouldn’t have otherwise had access to. Be sure to promote your attendance utilizing your website, Twitter and Facebook accounts. Another way to get outdoors would be having a booth at your local fairs or festivals. These may have a higher booth fee and require more staffing, however these events draw even larger crowds than farmers markets. If you can impress consumers there, they are bound to search your bakery out and become loyal customers! Whether it be corporate events, beach parties, birthdays or barbeques, it takes a lot of planning to fully execute such events. Therefore let your customers know that you’re ready to join the party and help take the baking load off of their hands by your providing catering services. List your catering options on your online platforms and tweet and post about this option routinely. Soon enough, you'll have orders lined up for the summer days and your customers will be thanking you! Zig’s Bakery & Cafe is famous for their handcrafted baked goods and artisan foods. The local farming environment in Lititz, PA inspired this authentic farm-bakery to stay true to it’s roots by operating out of a classic 1800’s red barn called Brick Gables. At heart, Zig’s is not only the product of generations but of local culture. After operating for a year they have recently upgraded their system to run EMV cards. Things are working well, and they are staying compliant using the VX805 with Vanitv as the processor. Purchasing a POS system may not be the most thrilling aspect of opening a bakery, but it is a critical one. A POS is what handles the monetary exchange from the customer to the seller. The reliability and functionality of the POS directly impacts things such as sales, reporting, reconciling, vendor ordering, as well as employee and inventory management. These are only a few examples and it’s important to note that not all POS providers offer features to accommodate these needs. After thorough research, Zigs Bakery concluded that Cafe Cartel POS was undeniably the best Point of Sale System on the market. Not only did CCS meet their needs in terms of features, but they also provided a variety of different hardware options for every price point. On top of that, Zig’s gained instant access to technical support and 15 years of industry related experience. To see how Cafe Cartel can help you achieve your goals, request a quote or schedule a demo with one of our industry consultants by calling 866-973-8099. At first glance inventory control for a Vape Shop seems like any other retail industry. Sure there are a lot of products, you have all the flavors for each brand. And then You have all the strengths for that flavor and then you may have one or 2 sizes. So sure each flavor has 6 to 12 different combinations and you might have 12-25 flavors per brand and 5 or six brands. Then the mods and then the batteries. Oh My. You've Updated your Relationship status with Vape to: "It's Complicated"
Wait, is that the first glance? The one that just said there possibly hundreds of items types for flavors and then multiple quantities you have to count and reconcile to manage your inventory? Did I mention: these flavors usually don't have barcodes, so you can't just walk by with your scanner and check them in? How do you even know what to order? Well sure you know because you have you point of sale system. This tracks the Brand-Flavor-Strength-Size combination. Does it really? Have you checked your sales reports? Most systems stop at a certain point of tracking: Maybe the size, not the strength. So you better be sure you know what you are selling. You need to see the whole journey of a product. How you price them, for cost and retail price. How you update hundreds of items prices. Are the prices grouped by price groups, categories, brands? Do your reports include all features about the item inventory, sale, returns, voids, transfers? Are you able to decide on re-ordering of hundreds of items without spending a lot of time, but making the right choice? Did you fall victim to Minumums? Do you have a Re-Order Strategy? Do you have a reconciliation strategy? Lets make a Date and Reconcile our Differences in Inventory. And so you think, "Oh I'll have minimum reorder points, once the count hits that, I'll be alerted". When do you want to be alerted? All day long, at the end of the day. What if you are getting emails all day long, that's silly. How about when you log into your system, that sounds better right? So you think you can stick with Minimums - When something is low your system tells you to re-order it. How did you figure this out for hundreds of items? What if it took 6 months to sell 1 of your 3 MG 15 ML Cotton Candy? But 2 days to sell out of all of the 3 MG 15 ML Vanilla. Is it that Cotton Candy isn't popular, or that strength or that size? Are you going to wait to update this? Will your system automatically figure out the weather too, so you know when you won't be busy?. Many factors determine a minimum. The span of time for re-ordering, the time it takes to receive new product after each re-order. Even the weather are included in the things that need to be considered. Minumum is a first glance idea, which sounds like a good one, but it's not. How do you believe your 'minimum' is going to help you? It can't analyze, it can only be the trigger. So unless you have an algorithm, you need to be able to review your system and find out the real requirements for a re-order. So it's more important to come in with a clear understanding of the relationship you want to have, and what you will need to make it successful. Here at CCS, we have worked with Vape shops, and offered them our 'Relationship' consultations to make sure our customers have a very good understanding of their partner, the ECig's they enjoy daily. Nothing can demonstrate this better than our ECig Video which demonstrates much of what we have discussed here.